When it comes to invoicing, save time instead of reinventing the wheel every billing period. Set custom recurring billing schedules. Automate customer notifications for past due invoices. 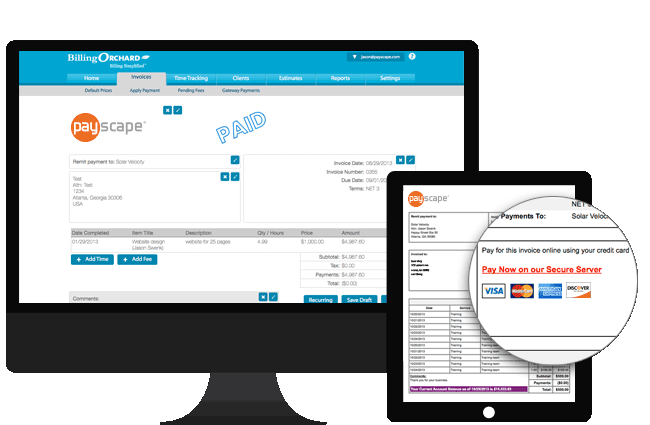 Send professional online invoices without attachments. Dynamic HTML invoicing eliminates the need for your clients to download a pdf or click a link to view their bill. Enable clients to manage account deliverables on their time. There's an easier way to get paid. Process credit cards and eChecks within an invoice. Increase cash flow by offering alternative payment methods. Funds deposited within 48 hours. Set recurring charges for credit cards or eChecks. No additional software, coding, or development required. 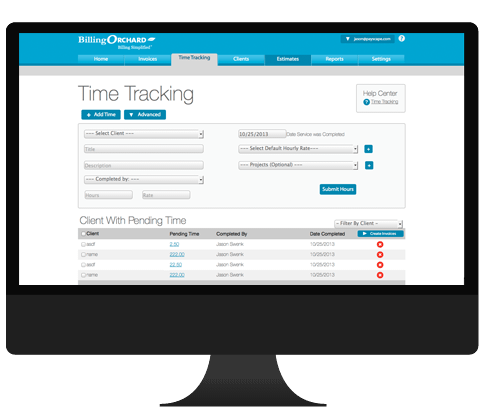 Convert billable hours into actionable online invoices. 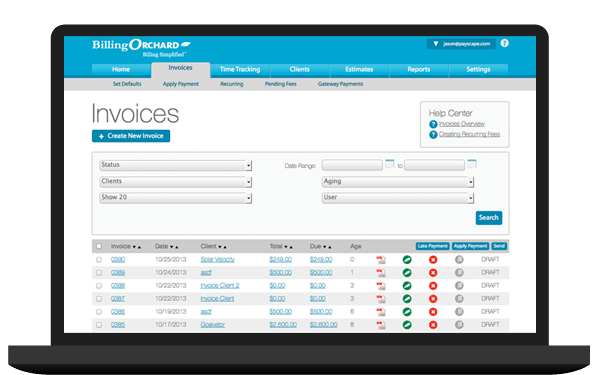 BillingOrchard's dynamic user permissions allow your employees and contractors to log billable hours on behalf of a client, allowing you to approve, create and update an invoice in an instant. 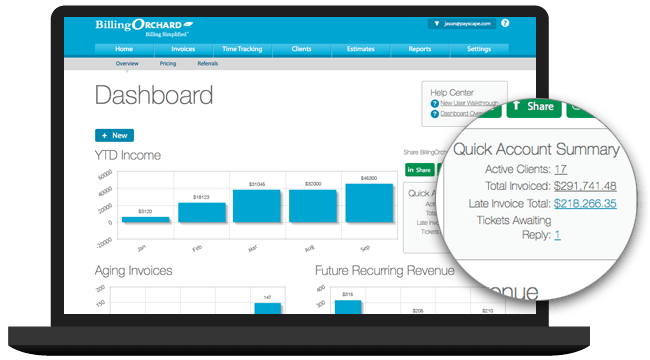 Our dynamic reporting dashboard updates cash flow levels based on recurring revenue. Better predict cash flow, better project earnings, and easily forecast for growth. 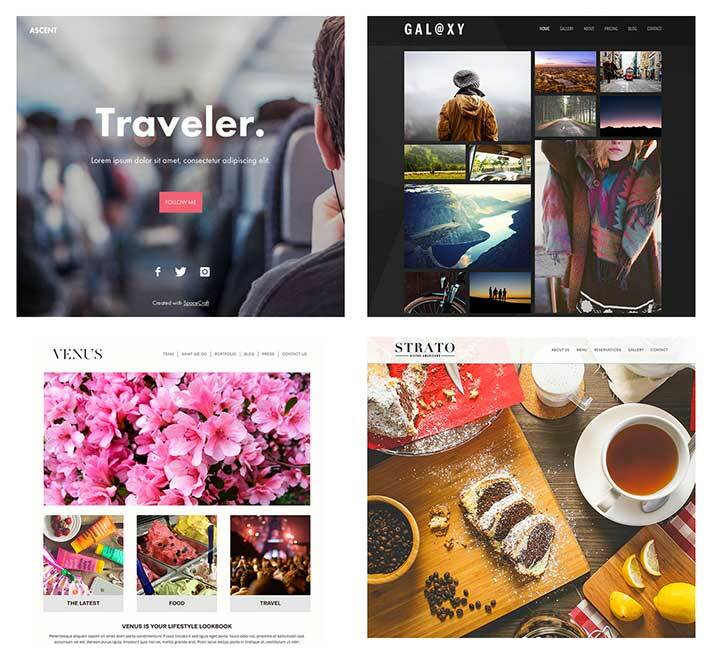 Available as an add-on to BillingOrchard, our custom web site design service can create a dynamic and exciting online presence for your business.